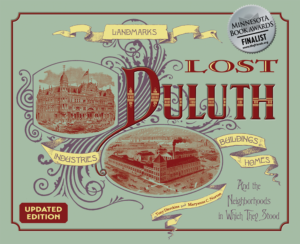 The Hunter’s Park neighborhood was platted in 1891 and attracted many of Duluth’s resident professionals, particularly after streetcar service began in 1892. 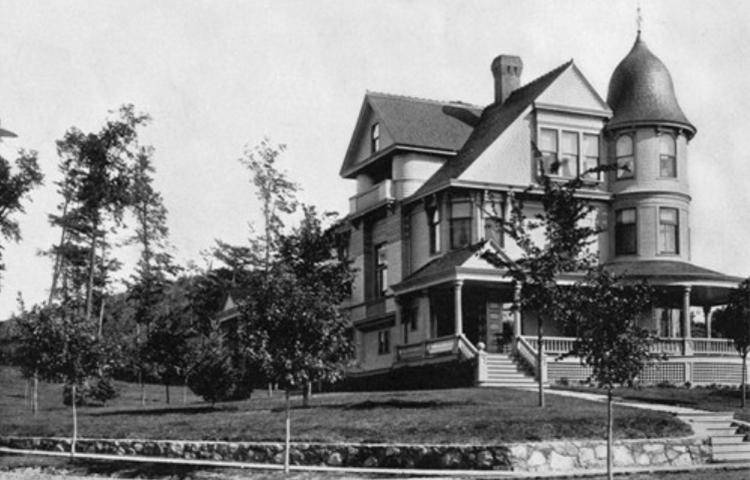 This Queen Anne home was built a short distance from Woodland Avenue amid other Victorian-style homes. It featured a round corner tower, patterned shingles on the third floor walls, and an encircling veranda. Arthur and Lillian Holgate originally owned the house but lived in it for less than two years. Washburn died in 1931, Alma in 1943. Their home stood vacant until demolition in about 1946. Another house was built on the lot.